And it’s a doozy! We’re having hamburgers for dinner tonight, it will be perfect for slicing! Here’s this morning’s harvest. 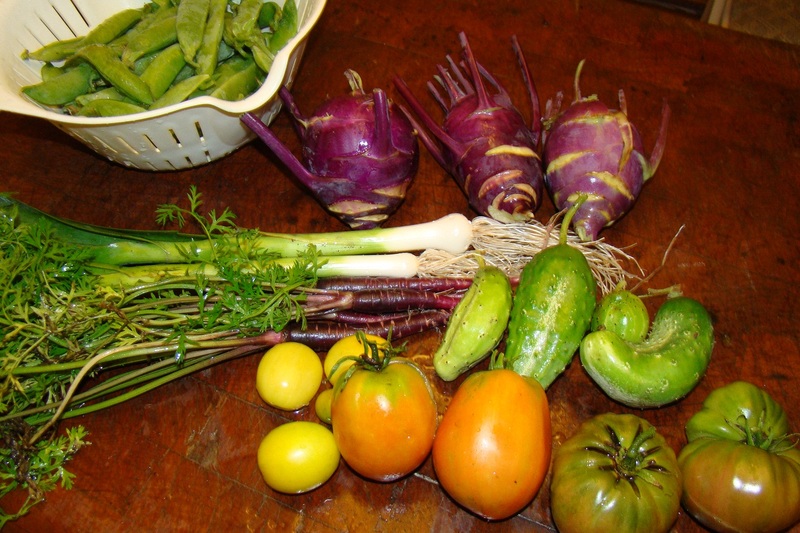 Along with pickling cucumbers, leeks, purple carrots and yellow plum tomatoes, we got the last of our english peas and the first of our cherokee purple tomatoes and purple kohlrabi. Kohlrabi is pretty cool, it’s known as a broccoli apple. It can be prepared in many ways. Raw in salads, mashed, fried, you name it. This is our first year growing it but not our last. 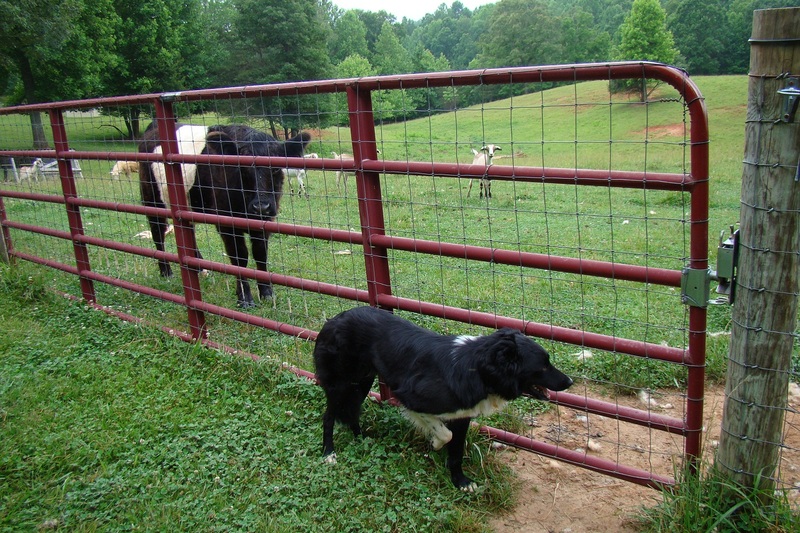 Jack’s waiting patiently at the pasture gate to wrangle the sheep. Jessica’s keeping a close eye on her boyfriend. Summer’s getting ready to run up to be petted. A typical morning on the farm. We grow pickling cucumbers every year and I never plant enough of them. One of these years I’ll learn. I pick them between 2 and 4 inches long and make dill pickles out of them. 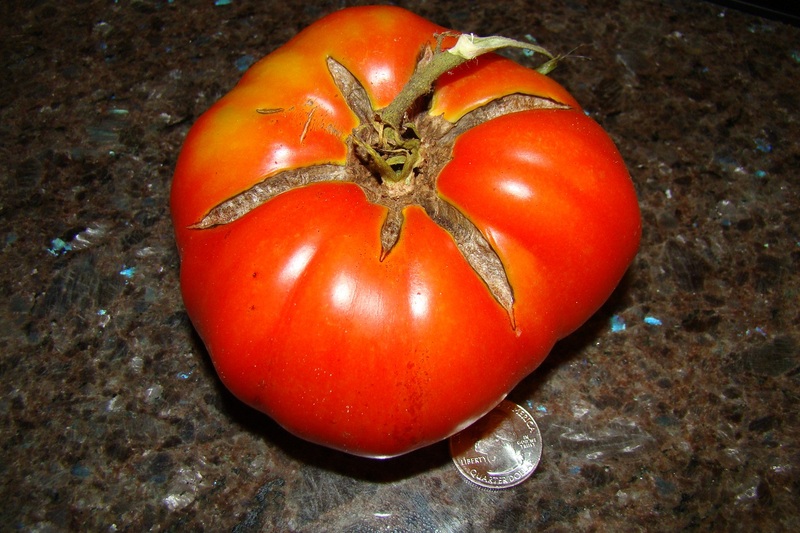 Some of the vines are co-planted with tomatoes and this ginormous one was hiding. Those are quart jars. I so very wanted it to fit into a jar to make one giant pickle but it wouldn’t even go into a wide mouth one. Instead, I sliced it and made dill sandwich slices. The slices are big enough to cover an entire hamburger patty. Our shiitake logs started fruiting again. We’ve got them in a sling that Brian designed hanging under a bradford pear tree. They like the shade and being kept off of the ground. I tried to get a little bit of time lapse photography by taking a photo a day. They grow pretty fast. I sold some at the farmer’s market and we also grilled a few with asparagus and garlic scapes last night. Olive oil, salt and pepper. To die for! We’ve been away for a few days helping our daughter Tracy celebrate her birthday. It’s been a while since we got away from our daily chores. My wonderful parents watched the farm while we were gone, which included milking our goats (so sweet of them!) 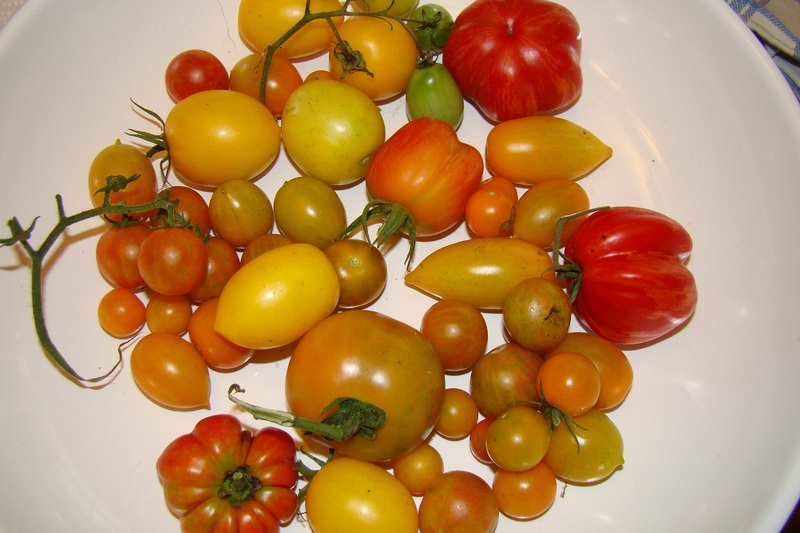 While we were gone, more tomatoes started ripening. It’s going to be a delicious summer! Of course, we’re so remote we don’t have a cable TV option… Our weather finally allowed us to move the turkeys from the barn into a poultry tractor in the pasture. 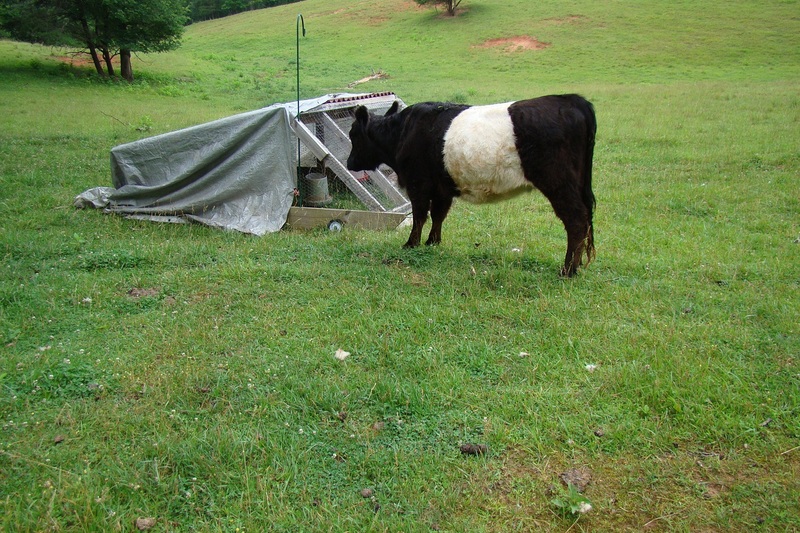 They have since provided hours of entertainment for our cow, Jessica.